Kuan Yin: The One Who Hears the Cries of the World. | Sana Ako si Ricky Lee! Kuan Yin: The One Who Hears the Cries of the World. 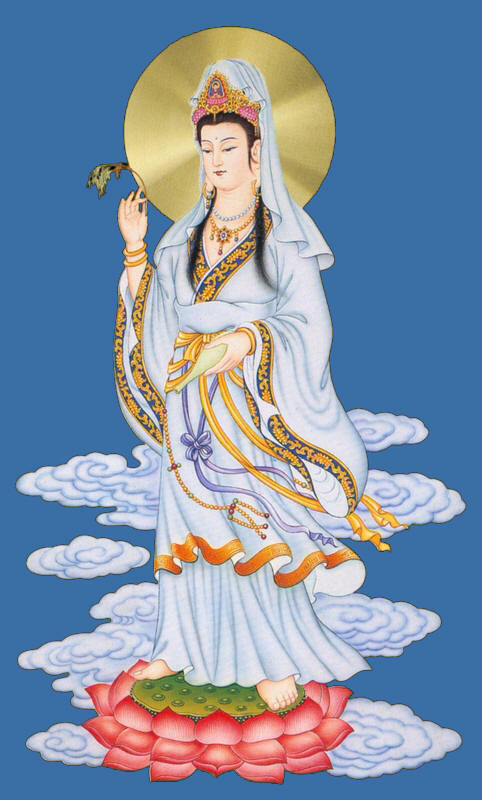 Kuan Yin, also spelled as Quan Yin, is a Bodhisattva of Compassion. A lot of people refer to her as the Buddha of Compassion, which is technically wrong in terms of terminology, but absolutely right when refers to her true being. Kuan Yin (also spelled as Quan Yin, Guan Yin, Gwan Yin, Kwan Yin) is also known as the Goddess of Mercy, Buddha of Compassion, Bodhisattva of Compassion. You can also read my two other posts about Kuan Yin entitled UNDERSTANDING MERCY AND COMPASSION: THE TRANSFORMATION OF AVALOKITESVARA TO KUAN YIN and PAYING HOMAGE TO KUAN YIN, THE BUDDHA OF COMPASSION. Thank you for writing about Guan Yin. She called strongly to me and I responded by starting a blog in her name “Compassionate Rebel” and sharing what I learned about her. Not long after, my husband miraculously survived an accident and fully recovered–also a miracle. I saw my husband fall and break his neck and yet I was filled with the calm knowledge that he would be fine. I attribute my composure to Guan Yin–I knew she had already heard my cry.